There’s plenty of ideas for microadventures when the rehab is out the way and my hip is feeling brand new but for now I’ve got to be realistic about what’s achievable. In February I went to an event in the Fort William Mountain Festival where Karen Darke shared her experiences of alternative ways to access the outdoors since becoming paralysed and her journey to the London Paralympic Game since becoming paralysed following a climbing accident. 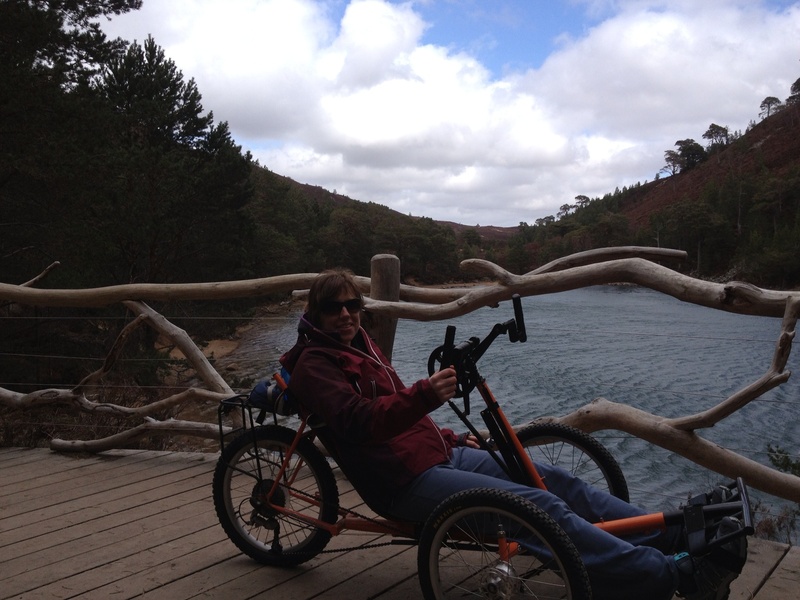 One of the things that particularly caught my eye was Karen’s handcycling adventures throughout Scotland and how this made the outdoors accessible to her. I had a chat with her afterwards, thinking ahead to my rehab after hip surgery and she told me about an off-road handbike available for use at Badaguish Outdoor Centre, Glenmore Forest. 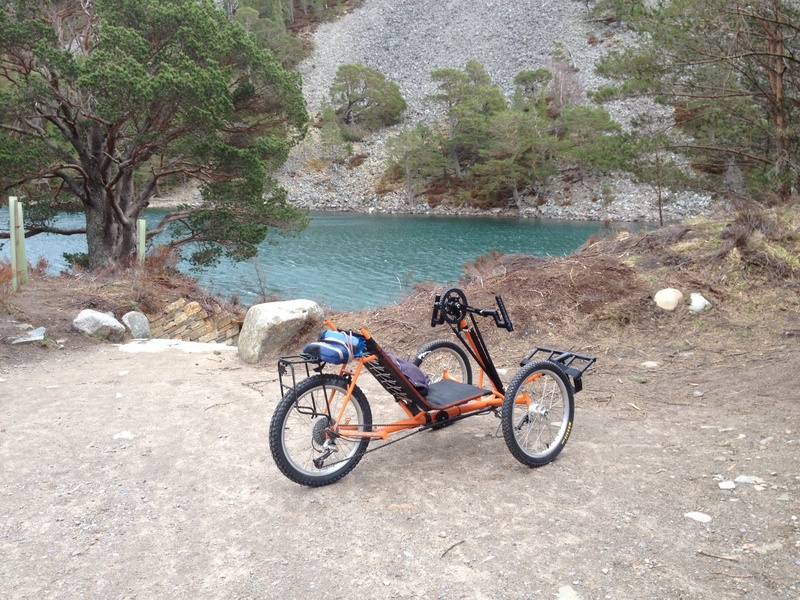 The bike is funded by Sport Scotland Awards for All and the Walking on Wheels Trust. So after a wee spin in the car park a Badaguish I was ready to set off on a loop to Lochan Uaine and back (approx 8 miles). Before even reaching the start of the forest trail my arms were sore and I suddenly realised I wasn’t a paralympian! It was a tough adventure but an amazing one as it was the furthest I have been from a car park / bus stop etc in almost 5 years. I reached a top speed of 28km/hr which felt really fast being so low to the ground. The bike is an awesome piece of equipment with 24 gears and an emergency setting in case you get stuck on steep ground. I zoned into tree roots and had a real sense of biking. I made slow progress on the hills but the climbs reminded of the burn I used to thrive on. A brilliant resource for anyone who isn’t able to walk or cycle and has a passion for the outdoors.